How Do You Change That! Anthony Ray Hinton - The Sun Does Shine - Wrongly Convicted & On Death Row for 30 years! Seasons of China - An incredible insight into the real China - Highly Recommended! Am I Dead Yet - Video Premiere & Brilliant debut Album details! Interview Soon! The BBC - An Open Letter To Whoever Is In charge? #WOMAN: REMAPPING THE TERRITORY. OUR WAY. Olivia Newton-John - Live! Tahoe Onstage Review! Brian Phook - Wood-Wide-Web - Save The Knettishall Trees! The Scorpions - Lake Tahoe Review! Holly Bourne - How Do You Like Me Now? Phace - What? If I had to Choose? Greenwich Cruise Liner Terminal - Phace a thought? Phace Film - Truth or Urban Myth - "Rendezvous"
Ripper- The Secret life of Walter Sickert. Les Miserables - Novel of The Century. Phace film - Brando's contender line..
​Tippoo's Tiger in the V & A - Museum, is a very popular exhibit. Tippoo - The Sultan/Tiger of Mysore, resisted the East India Companies dominance for years. By doing so he resisted the might of the British Empire. He commissioned the tiger carving as a show of strength. Knowing full well the tiger represented his resistance. It became figure head,. A symbol of rebelion that arguably sentenced every tiger in India to death. 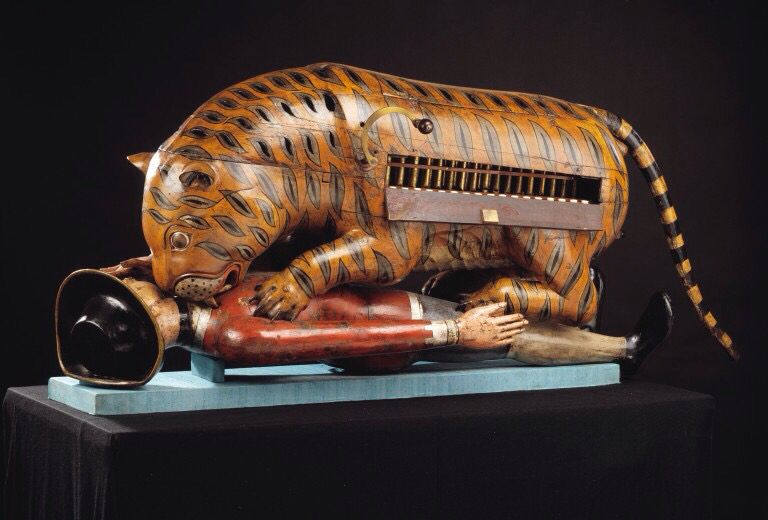 After Tippoo's eventual death, (i'll link the history) the tiger carving was captured by the British. ​The tiger then became a figure of all that was evil. The enemy of the empire. Soon literaly! Thousands of Tigers were being slaughtered for sport, for recreation. 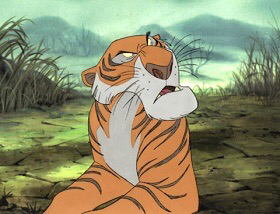 The amount of tigers you had killed became a status symbol. Sadness continued because even after India's independence, Tiger killing was associated with success and power. So was adopted by the once down trodden indiginous people ! ​ The saviour of the tiger arrived. 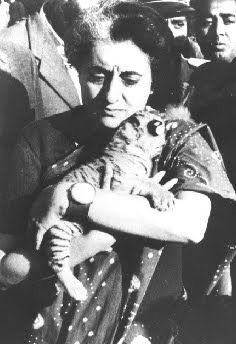 Indira Ghandi, who as the then prime minister, understood the senseless threat and set up project Tiger in 1973. It worked, and slowly from a tiger population as low as only 1800!! In 1973. It climbed to 4000. The Tiger was saved.... For now.... For then? For when? ​Because on the 31st of October 1984. The saviour of the Indian Tiger, Indira Ghandi was assassinated. And just as politics started the tiger slaughter. It went on to kill the one person who even today is recognised as doing more for nature conservation (project Tiger) than any other Human. ​Phacemag.com 2A Middle Lane Mews, Crouch End London N8 8PN ​©2015 Phacemag.com - All rights reserved.